(as per The Canadian Press article by Nicole Thompson, 2018). 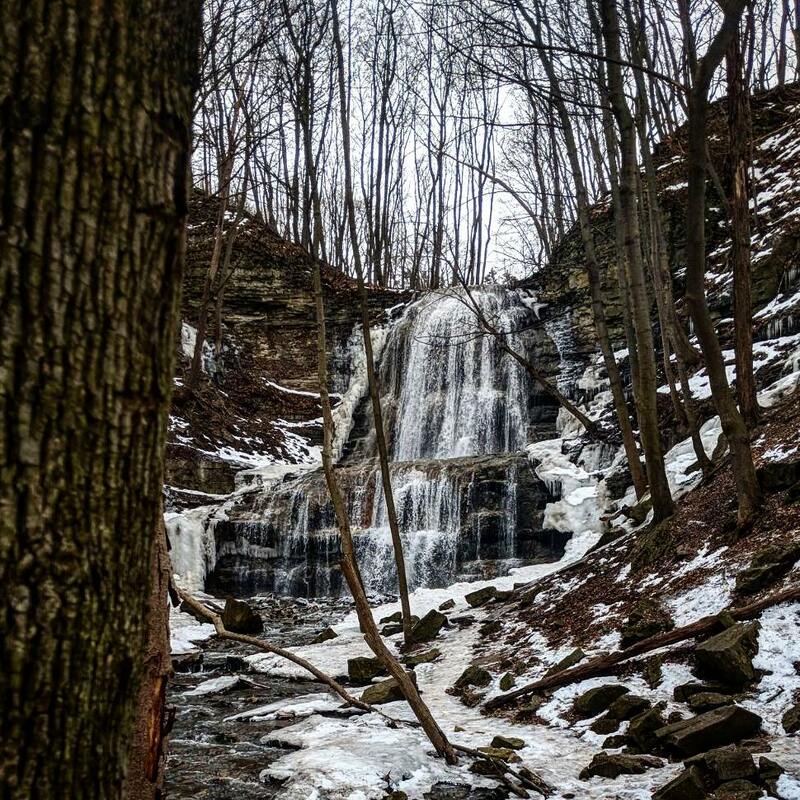 Most of the waterfalls in Hamilton are located along the Bruce Trail and can necessitate anywhere from minimal walking to a long distance hike to access. The waterfalls are located alongside steep drops and difficult to access locations it is important to stick to marked paths and viewing areas. 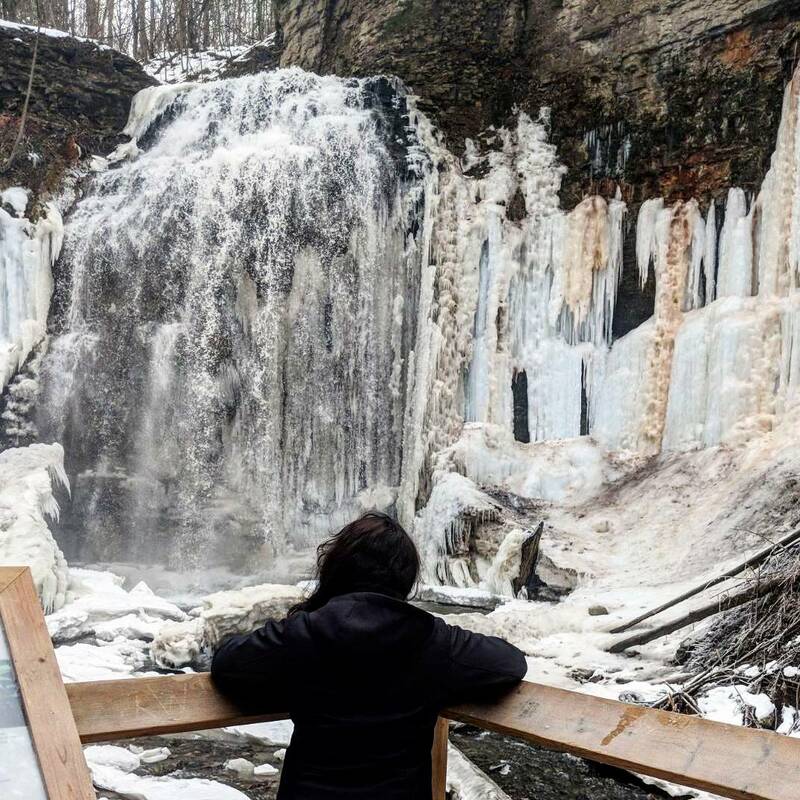 Remember when you are visiting waterfalls in Hamilton to stick to paths and exercise extreme caution around slopes, edges and other fall or slipping hazards. Keep children and pets close. Respect posted signage, and do not climb or otherwise bypass fencing – both for your own safety and for the environmental health of the areas (Hamilton Conservation Authority, 2018). There are so many interesting places to travel and see in Ontario, why not start exploring this year in 2018? Mesmerizing view!! 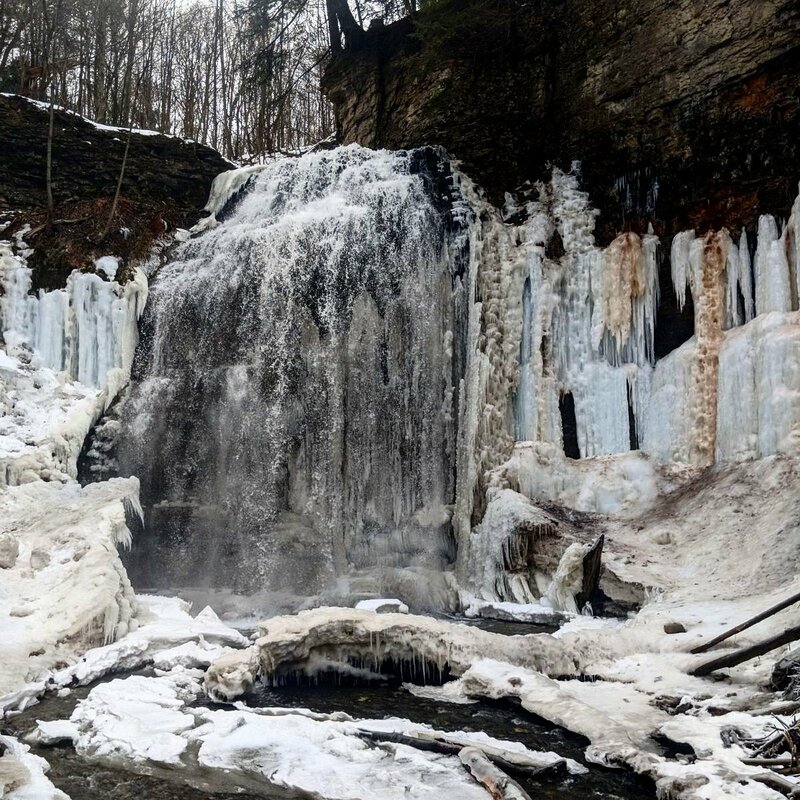 i am crazy to see frozen waterfall. OMG, this place is amazing!!!! Breathtaking! Wouah theses photos are so beautiful ! I wish to see a waterfall as beautiful as this one, one day ! Wow, what an incredible place, it looks magical! Wow such an amazing waterfall! Great pictures! Que lindo esse lugar amei conhecer aqui e as fotos ficaram incríveis. WOW, these photos are just beautiful!! Wow pictures look amazing! is incredible! Hope you had an amazing time! What a beautiful place <3 Have a nice evening. So Beautiful! I love visiting majestic and bigger than life waterfalls like these. Being there in person is so magical! wow i love waterfall picture look amazing dear..